Hi, I'm Claudine, the founder of Vida Wellness. Over the last 15 years, my team and I have helped thousands of people to improve their balance and feel stronger and more confident everyday. I created a series of home exercise videos for our clients and class members. They kept asking for exercises they could do at home, especially to improve their balance. They also wanted to strengthen their muscles and improve their mobility and flexibility. 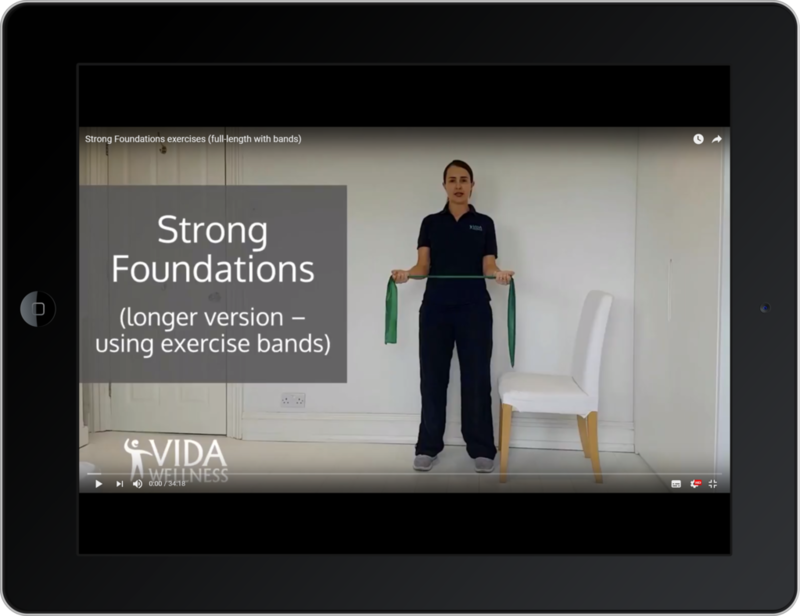 The videos are for people who want to exercise at home with the support of a specialist instructor. I talk you through all the exercises and demonstrate them clearly. There’s no loud music, no leaping around and you can work at your own pace. The videos are all online and you can watch them on any device (laptop, PC, tablet or your phone). Read on to see what each of the videos is about, or scroll right down to get the links straight away! Low impact movements - really good to do in the morning but also feel great at any time of day! Less than 8 minutes to complete and no equipment needed. This will get all your joints moving (ankles, knees, hips, neck and shoulders), reducing stiffness and joint pain. You will feel ready to take on the day, well-oiled and full of energy! A bit longer (still only 11 minutes!) so we could fit in a few more of our favourite low-impact, mobility exercises. Great as a warm-up, to get you moving in the morning or to give you an energy boost at any time of day. 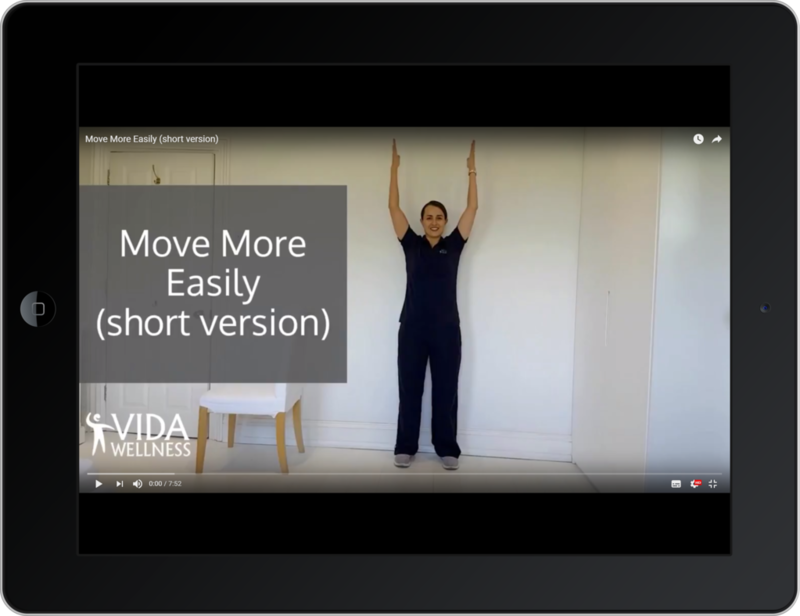 These movements will get all your joints moving, reducing joint stiffness and pain. You will feel more mobile, flexible and ready to get on with your day. A carefully-designed workout which will get you moving in order to maintain strength, function, and flexibility. The exercises are clearly demonstrated by an experienced instructor. You will feel 'worked' without doing anything too strenuous. You won't need any equipment for this one (that means no excuses!) and it takes less than half an hour. 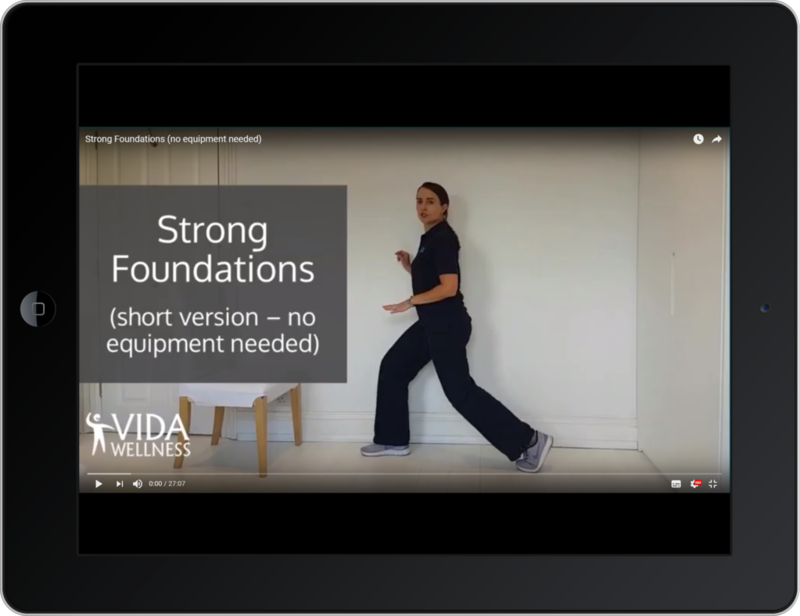 Another low-impact Strong Foundations routine. This is the one our members do when they can't make a class! You will strengthen the muscles you use in everyday activities, improve your posture and feel more flexible. This 35-minute routine uses exercise bands (see guide below for info on bands). The exercises are challenging without being too demanding. Your experienced instructor will help you to work at the right level for you. Several of our members requested a specific video with exercises for the ankles and lower leg (with balance too) so we had to do this! This 20-minute routine is easy to fit into your busy day. It includes exercises to strengthen important muscles and increase mobility and flexibility in your ankles. Your instructor demonstrates carefully selected balance exercises and you finish up with some lovely stretching. 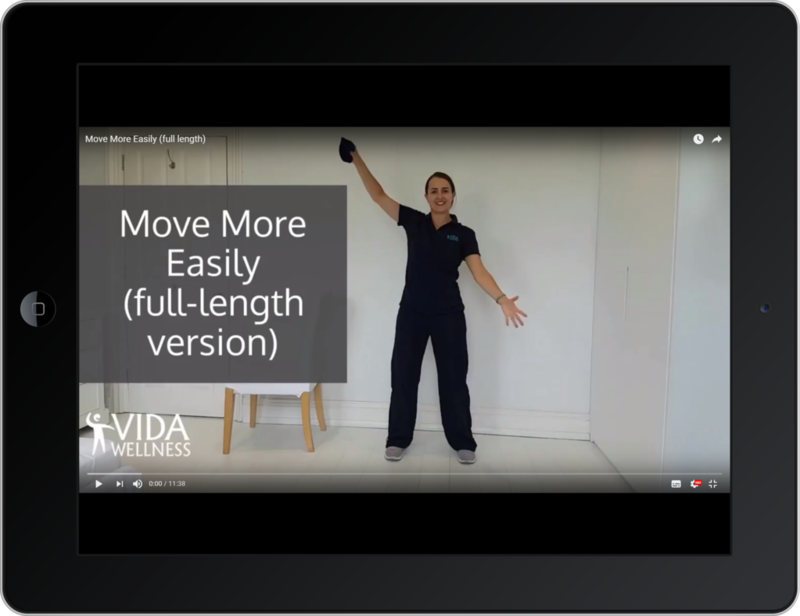 We want to help people to make the most of these videos, so we have written a guide to Safe & Successful Home Exercise with Vida Wellness. This includes answers to all the questions our members ask us about exercising at home. We will send this free PDF out to you with the videos so that you have all the information you need. To receive the links to the five, free videos, just enter your first name and email address below. Check your inbox straight away for a confirmation email. Please click on the link in this email. You will immediately receive a link to the five, free videos and your PDF guide.